Nico Pusch was born in 1986 and grew up in a small town in the north of Germany near the Baltic Sea. Due to the support of his uncle, he came in touch with music from around the world pretty early, with being influenced most by artists like for among others Marek Hemmann, Aka Aka, Oliver Schories or Stephan Bodzin. With the passion for electronic dance music rising at the age of 14, he bought his first computer to start producing his first tracks with great enthusiasm, and to realize his ideas without limits. 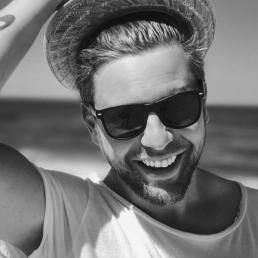 Nico always combines emotions and minimal styles in his tunes being open-minded for new influences with representing a mixture of Techno, Minimal, Sunrise Music and Tech House.